Astranis Space Technologies Corp., in partnership with NanoRacks is donating a 1U cubesat launch to Students for the Exploration and Development of Space, USA (SEDS-USA) to kick off the SEDS SAT-2 competition next month. 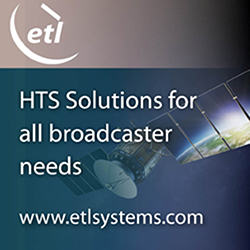 The Astranis SEDS SAT-2 competition will call on SEDS chapters across the country to submit a design for a novel 1U cubesat that will then be launched and deployed by NanoRacks, LLC, with Astranis footing the cost of the launch. 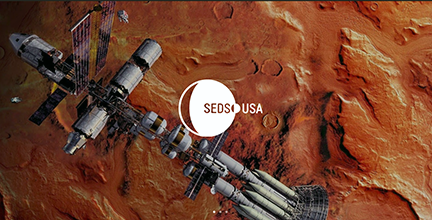 The competition will officially open at SpaceVision 2018, SEDS-USA’s annual conference, and the largest student-run space conference in the world. 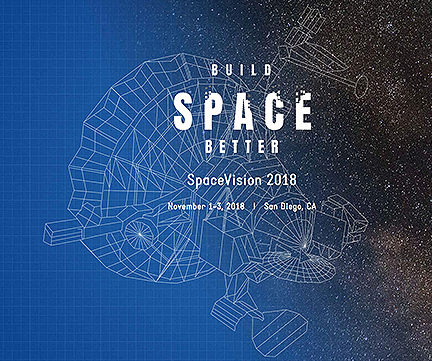 SpaceVision 2018 will be hosted by SEDS-UCSD and will feature a free NanoRacks workshop for pre-registered teams to learn about designing, building, and integrating a cubesat for LEO. The first SEDS satellite — SEDS SAT-1 — was launched in the early 90s, well before smallsats became more commonplace. This competition will be open to all official SEDS chapters and SEDS welcomes new chapters to join and become a part of the SEDS community. To attend the cubesat workshop that will be held at SpaceVision 2018, students can pre-register under the Projects, SEDS SAT-2 section at seds.org, with a deadline of 11:59 p.m. on October 28th, 2018. Details and official rules and guidelines will be released at SpaceVision 2018. John Gedmark, CEO of Astranis and former President of Purdue SEDS, said that this is really an exciting opportunity to give back to an organization that has developed so many leaders in the space industry. Flying real hardware is what matters in this business. The company is giving students the opportunity to do just that and there will certainly be some components fly that have never flown in space before. Ryan McLinko, CTO and co-founder of Astranis and former MIT SEDS President, sees this as a way to help students get the hands-on experience they need to expedite their careers in the burgeoning New Space community. He said that the thing that he always wished was that there were more information on candidates’ resumes that indicated more hands-on experience building hardware systems to accomplish challenging objectives. Astranis is excited to be able to help enable these students to gain the skills they will need to excel in their future careers. With the commercial space industry growing at an exponential rate, organizations such as SEDS provide opportunities to thousands of students across the country and around the world to get valuable experience through competitions. NanoRacks External Payloads Manager, Conor Brown, said that everyone at NanoRacks are excited to help bring this launch opportunity into the hands of students. The company looks forward to working with the SEDS CubeSat teams at SpaceVision 2018 and teaching them about what it really takes to fly a small satellite and deploy it from a manned platform. Miekkal Clarkson, Executive Director of SEDS-USA, noted that there are plenty of simulations and imagined scenarios of this mission or another that young professionals can work on — but this? For students, this will be a tangible project they will have control over from conceptualization to launch and beyond — it doesn’t get much more real than that.